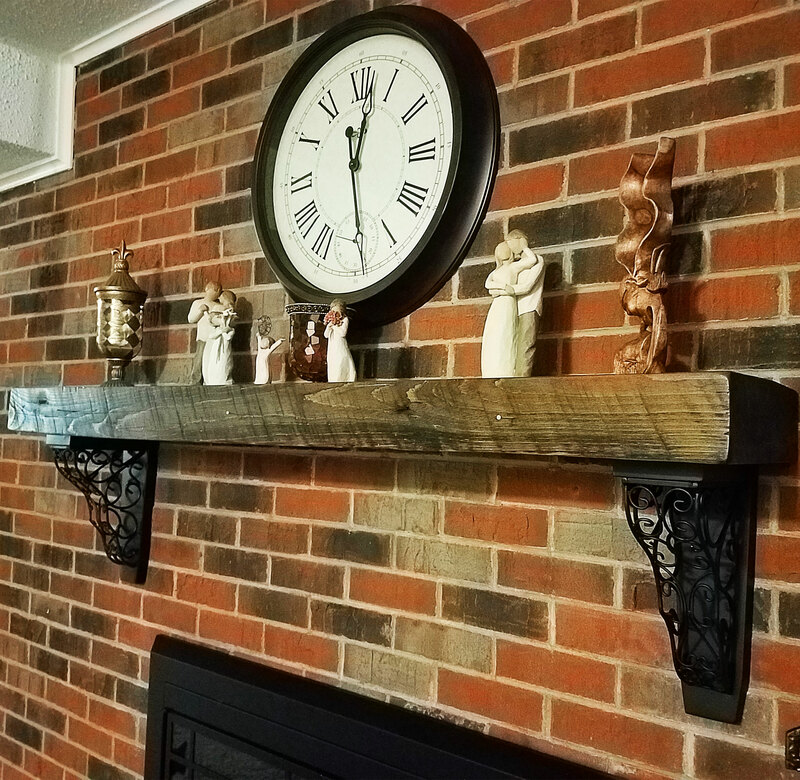 Christy from HouseSold Realty emailed a finished project picture of her newly installed Tuscany Vinea Wrought Iron Corbels. 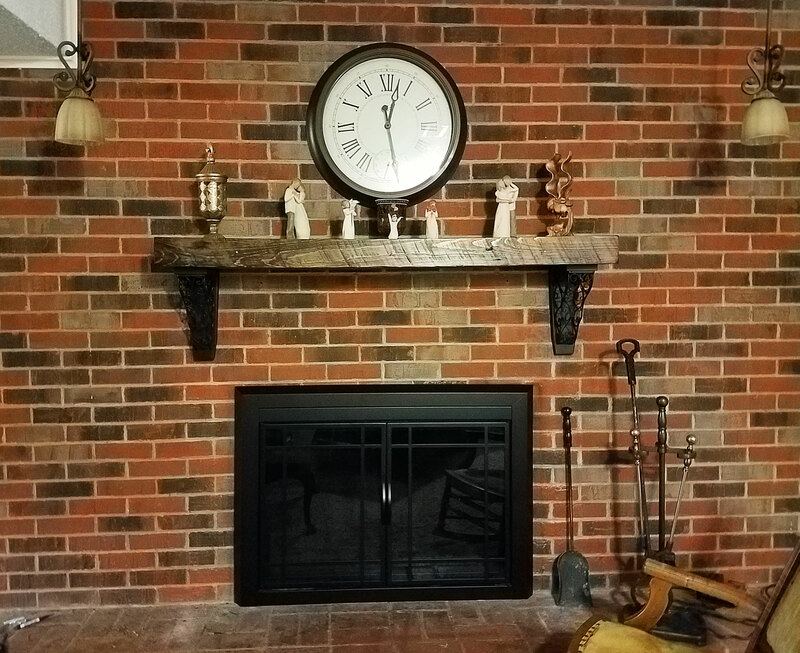 Perfectly matching, the corbels and the clock complement each other in color and style. Christy used these corbels to load the weight of the wood beam shelf along with the miscellaneous items on it. The load bearing capacity of these corbels are the perfect amount for this particular project. The Tuscany Vinea Corbel is durable and long lasting. When installed correctly, these corbels can support up to 110 lbs of weight! Not only are they functional, they are aesthetically pleasing to the eye. 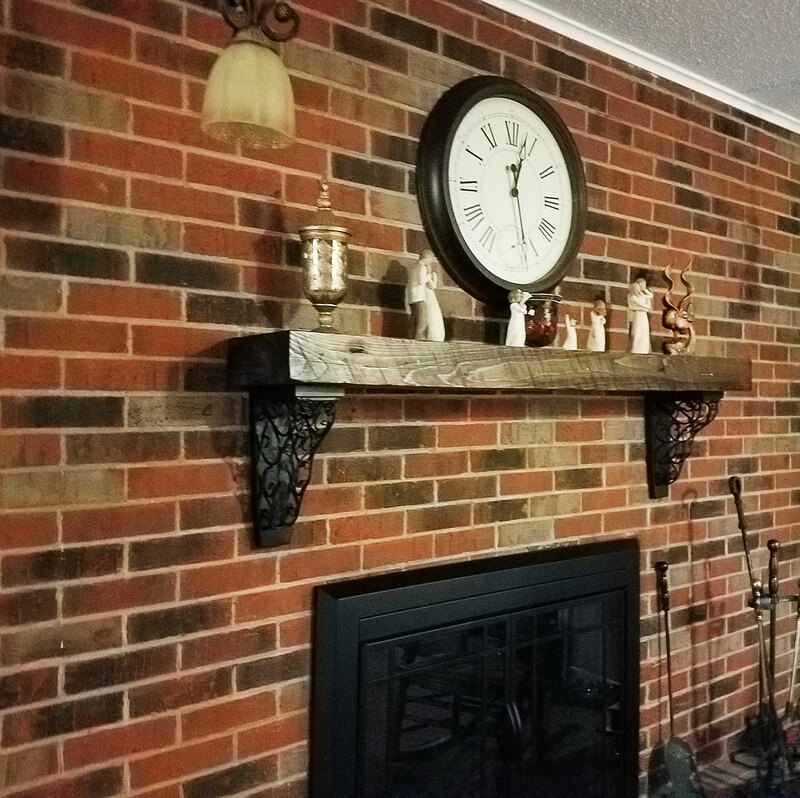 Place the corbels under an extended granite workspace counter, island or shelf area and you will see a dramatic impact on the look and feel of the room. Each corbel is crafted using 0.6 mm metal and given a nice powder coated black finish that makes it such a nice product. Feel free to peruse our full collection of brackets and corbels via the link below to find the perfect product for your next home improvement project!